Charcoal starter canisters are a tool designed to light a charcoal grill without having to use lighter fluid. Starting a charcoal grill without lighter fluid avoids unpleasant odors and any residual lighter fluid flavor in your food. Charcoal starter canisters are also often called charcoal chimney starters. A charcoal starter canister can provide a nice bed of coals without using lighter fluid. 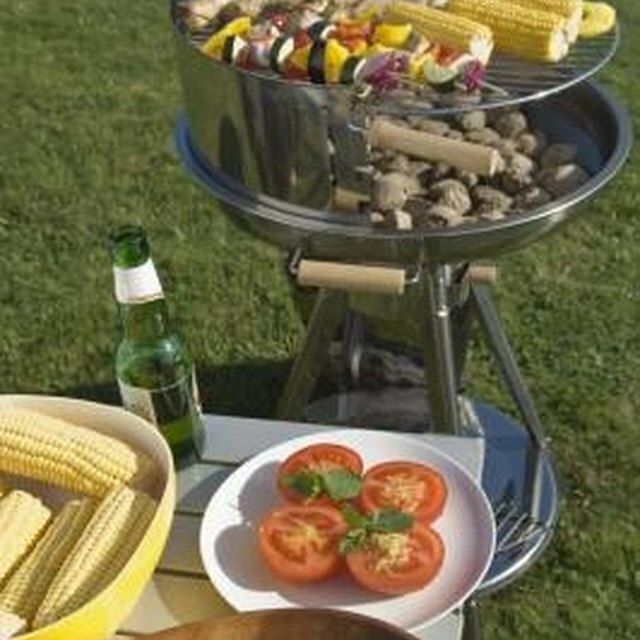 Take the grill rack out of the charcoal grill and clean out any old charcoal residue or remains from previous fires. Place the charcoal starter canister in the charcoal grill so that it is standing vertically in the middle of the grill. Crumble up enough paper to fill the bottom of the charcoal starter canister with several inches of paper. This will very depending on the size of the particular model of charcoal starter canister. Fill the remaining volume of the charcoal starter canister with charcoal briquettes. Light the paper at the bottom of the canister by inserting a match through one of the air vent holes along the bottom of the canister. Light the paper in several places around the circumference of the canister. Allow the paper to burn and light the charcoal briquettes. Depending on the model of the charcoal starter canister this can take from five to 15 minutes. When all of the briquettes are burning and small flames are at the top of the charcoal in the canister, remove the charcoal starter canister by grabbing the handle and lifting the canister up. Once the canister is removed, use one of the metal grill tools to level out any charcoal briquettes to achieve a uniform bed of heating coals.